Assange’s ID was issued on December 21, Ecuadorian outlet El Universo reports, citing “reliable sources” and providing the civil registry number to check on the government website. 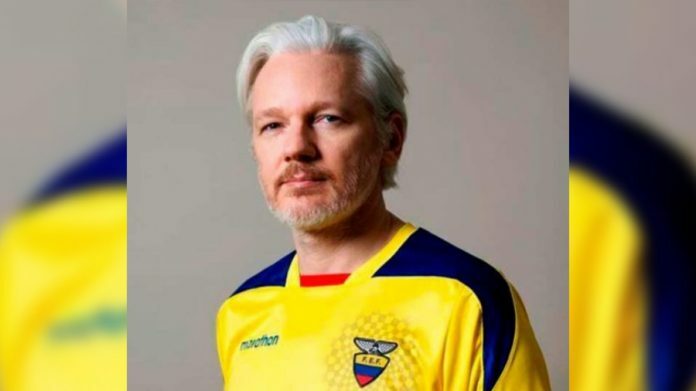 (RT) — WikiLeaks co-founder Julian Assange has cryptically uploaded a picture of himself dressed in the national colors of Ecuador. The country’s media reports the whistleblower has been granted an Ecuadorian ID. RT is trying to verify whether the document in question is indeed related to Julian Assange and to determine the status of his alleged Ecuadorian citizenship. Earlier in the day, the Ecuadorian Foreign Ministry issued a statement reiterating it is seeking a solution to the problem with the British government, but did not mention anything about an official ID number, passport, or any changes to Assange’s asylum status. Assange has been holed up in the Ecuadorian embassy in London since 2012, when he was accused of sexual assault in Sweden. Although Swedish prosecutors have since dropped the charges, British police remain outside the embassy ready to arrest the WikiLeaks co-founder for breaking his 2012 bail conditions. Assange refuses to surrender to the British authorities, fearing they would extradite him to the United States where he will be prosecuted for his whistleblowing activities.